What makes a successful TED Talk? 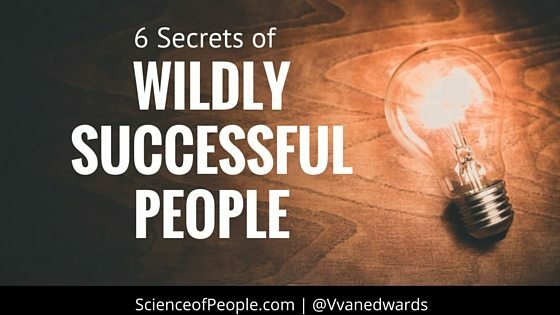 Here at the Science of People we endeavored to find out. 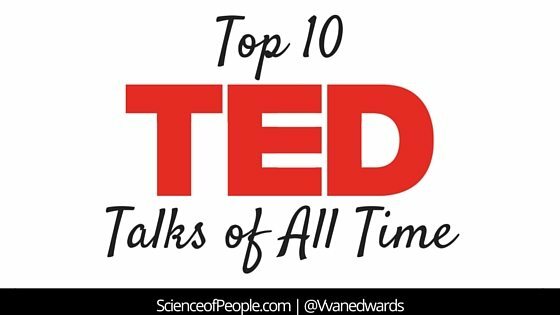 Why do some TED Talks rack up millions of views, change lives and are talked about everywhere? All TED Talks are good. Why are some great? We set out to answer this question with one of our first crowd-sourced Citizen Science projects. Over the last year, we had 760 volunteers rate hundreds of hours of TED Talks looking for patterns. More than One Opinion: We crowd-sourced the data. Instead of one researcher coding and looking for patterns, we had hundreds of participants rating and analyzing the Talks. 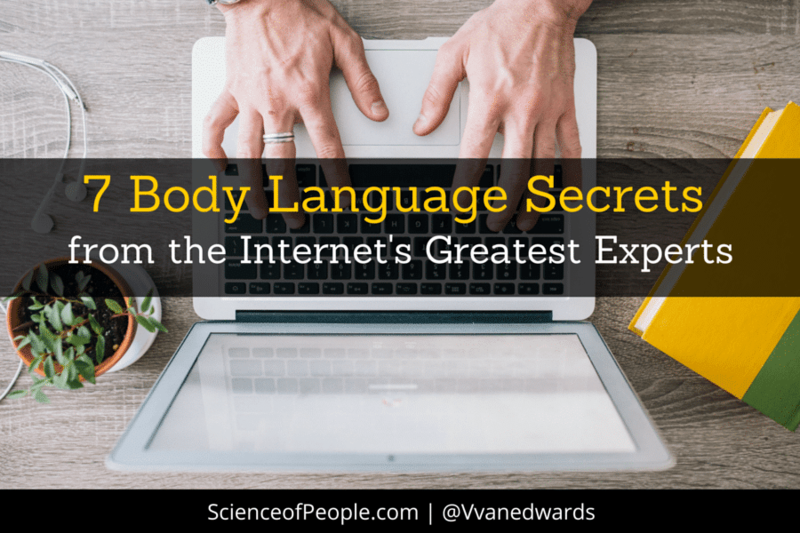 Beyond Words: Although there are some amazing books about the verbal patterns, strategies and rhetoric in TED Talks, very few focus on the body language patterns. And we quickly found out that the nonverbal is even more important than the verbal (see #1 below). Previous Research: We based our experiment on peer-reviewed academic research on nonverbal patterns. In this way, we know our results have a solid foundation in respected scientific trials (see citation list below). Controls: To get the most accurate results, we only used videos that had been posted on TED.com (so they had similar exposure), were posted in 2010 (so they had about the same amount of time to garner views) and were between 15 and 20 minutes long (so extra short or long Talks didn’t skew the participants’ ratings). We also worked with the amazing Data Scientist, Brandon Vaughn, to make sure our results were solid (see his bio below). Both Talks were published the same month (September 2009) which means they had the same amount of time to garner views. They are both on similar topics. These are both respected, but NOT famous speakers. Something about Sinek’s Talk caught fire, captured people and went viral. We see this pattern over and over again on TED. Some Talks hit big and some don’t. But, why? Tweet me your favorite TED Talk! While we examined TED Talks in this experiment, the implications are wide reaching. We are talking about how to increase your charisma, presence and the personal power from a stage, in board rooms and when interacting with people. We believe these 5 patterns show us how to be an influencer. People liked the speakers just as much with sound as on mute. Bottom Line: Focus on your nonverbal just as much as your verbal. The more hand gestures, the more successful the Talk. There was a direct correlation between the number of views on a TED Talk and the number of hand gestures. The bottom TED Talks had an average of 124,000 views and used an average of 272 hand gestures during the 18 minute Talk. 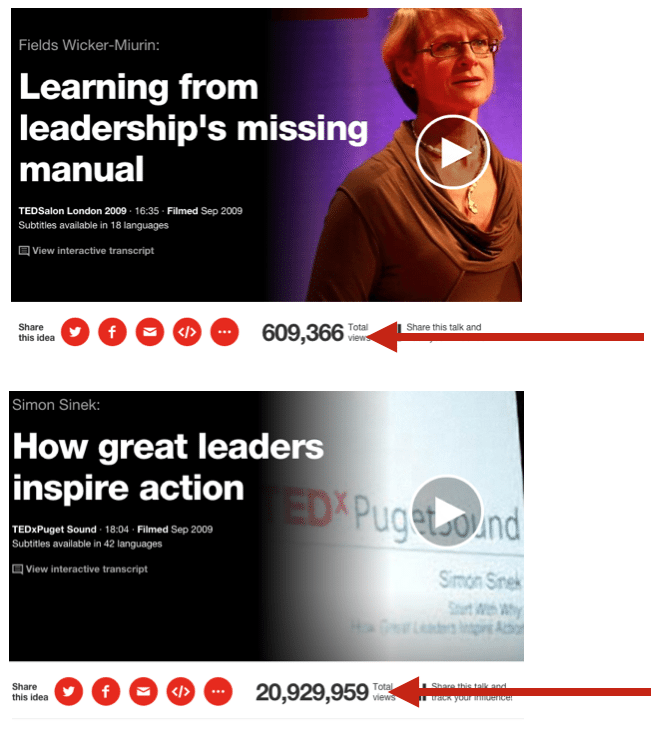 The top TED Talks had an average of 7,360,000 views and used an average of 465 hand gestures—that’s almost double! 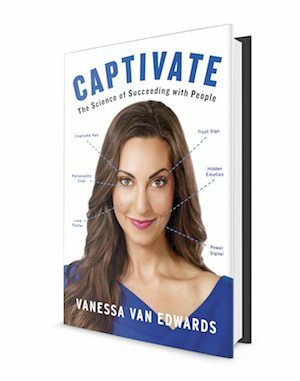 By the way, Temple Grandin, Simon Sinek and Jane McGonigal topped the hand gesture charts with over 600 hand gestures in just 18 minutes. Why do we think this is? Our hands are a nonverbal way to show and build trust–studies have found that when we see someone’s hands, we have an easier time trusting them. Also, when someone uses their hands to explain a concept, we have an easier time understanding them. Speakers who use hand gestures are speaking to their audience on 2 levels–verbally and nonverbally. Bottom Line: To be a good speaker, let your hands do the talking. Nonverbal communication isn’t just about body language, it’s also about vocal cues. We had our evaluators rate the TED speakers on vocal variety, or the amount of fluctuation in their voice tone, volume and pitch. Again, the relationship was clear. The more vocal variety a speaker had, the more views they had. Specifically, vocal variety increased the speakers’ charisma and credibility ratings. 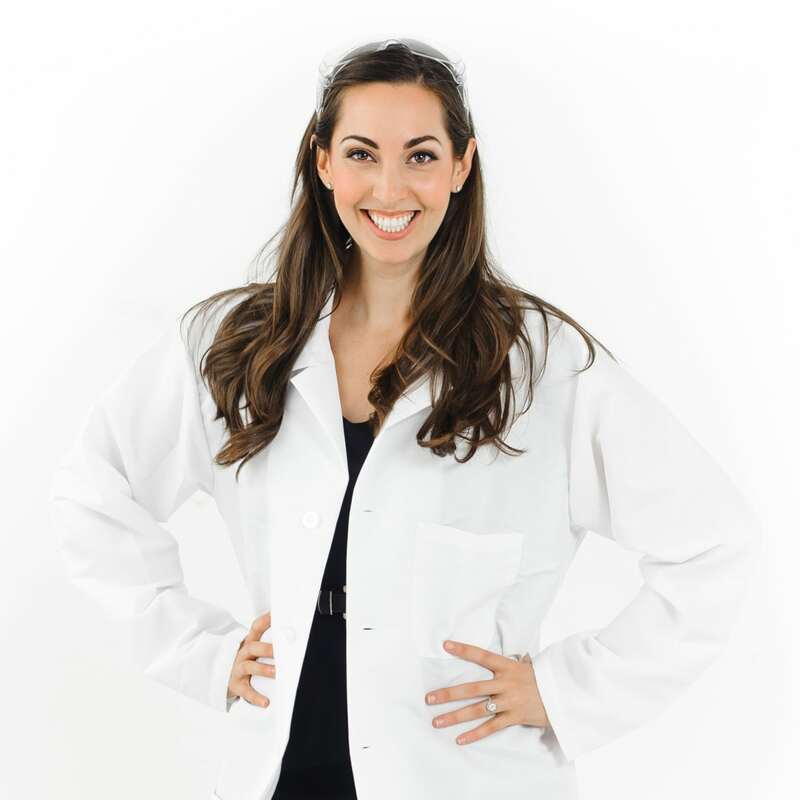 In other words, speakers who told stories, ad libbed and even yelled at the audience like Jamie Oliver in his TED Talk, captivated the audience’s imagination and attention. Researchers who have studied teacher ratings have also found that vocal variety is important for improving student evaluations (See Rocca, K.A.). When you are practicing giving your elevator pitch or your next presentation, try saying your words at least 5 different ways. Practice putting emphasis on different words, slowing and speeding up your pace and varying your volume on important points. Bottom Line: Memorized lines and scripts kill your memorability. Loving this research? Tell me! Bottom Line: No matter how serious your topic, find something to smile about. We can’t emphasize enough the power of the first 7 seconds of any interaction you have. According to our ratings, people had already made their first impression and decision about the entire Talk in the first 7 seconds of the video. Researcher, Nalini Ambady calls this ‘thin-slicing.’ She says that for efficiency purposes, the brain makes very quick judgments of people within the first few seconds of meeting them. Typically, this happens before any words are exchanged. So yes, think about your opening line, but also think about how you take the stage, how you acknowledge the audience and how you deliver your first line. Bottom Line: Make a grand entrance. I hope this research has shed some light on what makes someone charismatic and how you can improve your own stage presence. Whether you are going to deliver the next top TED Talk or you just want to make an impact in your daily life, take these 5 easy cues and make them your own. Our research suggests that we decide if we like the TED Talk in the first 7 seconds–and it has very little, if nothing to do with the words. Finally, we started to look for nonverbal patterns between the videos that ranked high in charisma, credibility and intelligence. We felt since the results of Part I and II pointed us in the direction of nonverbal, that’s where we would focus. Additionally, most of the previous research has been done on the verbal side of TED Talks, but very little on the nonverbal side. Credibility: Speakers who rated high in credibility had higher vocal variety and longer smiling. Charisma: The most important thing for charisma was hand gestures and vocal variety. Intelligence: Smiling was the most important factor for intelligence ratings (More than 14 seconds of smiling seemed to be the tipping point for higher ratings in intelligence). People in casual clothing typically rated lower than people in business or business casual. Women who wore business clothing got higher ratings compared to men in business clothing (not casual or business casual). Speakers in darker colors got higher ratings than those in lighter colors. Charisma was the name of the game. The most popular TED Talks rated 43% higher in charisma compared to less popular TED Talks. The most popular TED Talkers had 30.5% higher vocal variety than less popular TED Talkers. For the charisma ratings, high TED Talkers used at least 240 hand gestures. In general, TED Talkers who used less than 240 hand gestures scored lower on charisma. There is a lot more research that could be done in this area. We could look at differences between men and women, across races and locations. It would be wonderful to compare these results to different years and see if that changes results. However, this preliminary research is helpful, inspiring and fascinating. What we perceive to be important about public speaking, charisma and presence and what is actually important might differ more than we think. Brandon Vaughn is our Chief Data Scientist at the Science of People. While moonlighting with us, he spends his days working with data at Apple and running his podcast, First Things. He is a whiz with numbers and loves finding patterns in big data. Thank you to all of the amazing Science of People friends who voted, watched and rated these videos. We could not have done this amazing experiment without you. Thank you to TED for bringing together the people with the best ideas and sharing the knowledge with all of us. Thank you to all of the TED speakers for speaking out, sharing your voice and letting us learn from you. Did you love this article? 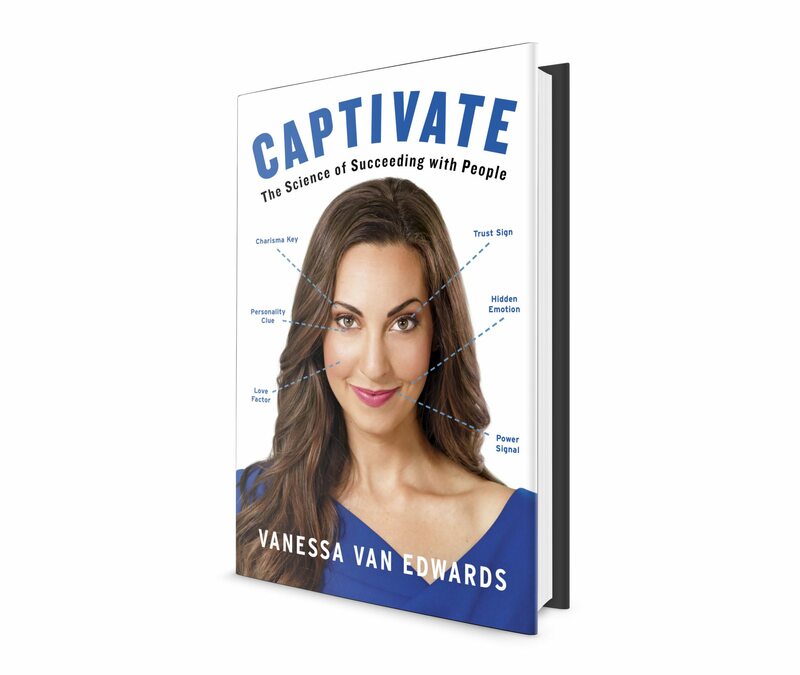 We have more insider TED secrets for you to check out in our newest book Captivate! Nalini Ambady & Robert Rosenthal, Thin Slices of Expressive Behavior as Predictors of Interpersonal Consequences: A Meta-Analysis, Psychol. Bull. 111, 256–274 (1992). M. Williams and S. J. Ceci, How’m I doing?, Change, 29, 12-23 (1997). Nalini Ambady & Robert Rosenthal, Half a Minute: Predicting Teacher Evaluations from Thin Slices of Nonverbal Behavior and Physical Attractiveness, J. Personality & Soc. Psychol. 64, 431-441 (1993). Christophel, D.M. (1990). The relationships among teacher immediacy behaviors, student motivation, and learning. Communication Education, 39, 323-340. Frymier, A.B. (1994). A model of immediacy in the classroom. Communication Quarterly, 42, 133-144. Mehrabian, A. (1971). Silent messages. Belmont, CA: Wadsworth Publishing Company. Pogue, L. and AhYun, K. (2006). The effect of teacher nonverbal immediacy and credibility on student motivation and affective learning. Communication Education, 55, 331-344. Rocca, K.A. (2004). College student attendance: Impact of instructor immediacy and verbal aggression. Communication Education, 53, 185-195. Rocca, K.A. and McCroskey, J. C. (1999). The interrelationship of student ratings of instructors’ immediacy, verbal aggressiveness, homophily, and interpersonal attraction. Communication Education, 48, 308-316. Thweatt, K.S. (1999). The impact of teacher immediacy, teacher affinity-seeking, and teacher misbehaviors on student-perceived teacher credibility. Paper presented at the National Communication Association, Chicago, IL.